First I'll start with the Cold Air Intake. On our cars a CAI is not needed for performance. Our stock intake flows fine and there really arent any performance gains that you will get from a CAI. Some people might like the CAI because of the looks and other people claim increased throttle response. An alternate option for a CAI if you don't want to spend too much money on the whole assembly is a drop in filter, such as the K&N which will replace the stock restrictive filter that comes with the car. This will perform just as well as a CAI. is what I will address next. Exhaust is broken down into 3 parts. Headers --> Midpipe --> Catback. Different brands will bring different sounds, and basically the same performance, so there is not one brand that is better than the other. Exhaust will give you a little bit of power, but not like 50 hp like companies claim, exhaust is more for the sound than it is for the power. This is pretty basic knowledge in here that most people probably already know but i'll put it in here anyway. What most people do with their exhaust is put a catback and midpipe on their cars. 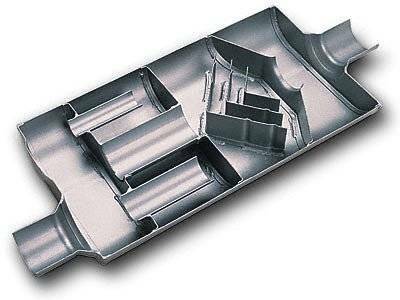 A catback is the piping that goes from your catalytic converters back, a catback is what has the mufflers in it. Some people like to just swap the mufflers and weld in new ones into the stock catback, which you could do. The stock catback is 2.25 inches and most aftermarket catbacks are 2.5 inches so with a whole catback youre freeing up some restriction in the exhaust, which gives you a little bit of power but in my experience its not much. There are also different kinds of mufflers, these being chambered mufflers and straight through mufflers. They basically are what they sound like, chambered mufflers, such as Flowmasters, MAC Flowpaths, and a few others that I'm missing, have metal plates welded inside that the exhaust bounces off of before it exits the muffler, this results in a nice sound that is not too loud. Then there is straight through mufflers, these are also what they sound like, when you take a straight through muffler and look through it you can see out of the other side, some come with a little packing it in, other's do not such as loudmouth LoudMouth 1's. These tend to be louder since the exhaust is just passing straight through the muffler and not having to go through any chambers. Some straight through mufflers are SLP mufflers/resonators, Borla Stingers, Magnaflow Magnapack, SSS exhausts, and there's probably a few others that I'm missing. A midpipe is what has the catalytic converters in it. Stock midpipes are an H pipe with 4 cats in it, earlier SN95 mustangs have 6 cats in them. There are 2 types of midpipes X pipes and H pipes. There is really no power difference between the 2 and people decide what pipe they want based on sound. An X pipe is more a NASCAR scream, while an H pipe is more of the classic deep muscle car tone. So those are the 2 types of midpipes now there are 2 more options if you were to buy one. That being whether you want your midpipe to be catted, which means it has catalytic converters, or if you want it to be Offroad or O/R, which means there are no catalytic converters. Check with your state and see what your emissions are because O/R midpipes will not pass emissions in certain states because there are no catalytic converters. Catted midpipes will give you a little more power because most midpipes come with 'high flow' cats, and there are only 2 cats compared to the 4 cats that are on the stock midpipe, so you are definitely freeing up more restriction. O/R midpipes have no cats and are louder when you put them on your car, I have no experience in O/R midpipes so if someone has more advice let me know. But O/R midpipes have even less restriction than catted midpipes because there are no cats. This will give you more power than catted midpipes and are chosen a lot because of that. Another midpipe which doesn't fit this category is the Mac Prochamber, this is an O/R midpipe that is unlike the H or X pipes because instead of a crossover it has a little box like piece that connects the pipes. This translates into a nice quiet and tame sound at idle and while cruising, but a nice mean and loud sound when you get on the throttle, this could be another option because of the unique sound. Headers are what connects to the engine itself. With headers there are 2 different types, Shorty style or Long Tube headers. Stock headers are shorty headers. Aftermarket headers will give you good power gains, long tubes should give you around 10-20 hp to the wheels depending on other mods. As for shorty gains I'm not totally sure but I would guess between 5-10 give or take a little. Another option is also mid length headers, which is a medium between the long tubes and the shorty's, midlength headers are offered by Bassani. -Polished - headers are great for customers looking for a car show appeal. They look great under the hood. -Natural Stainless - won’t tarnish or stain, but will age with the vehicle. -Ceramic - great for customers looking to get the most power out of their car. Ceramic keeps the heat down, resulting in more HP. A handheld tuner/chip is another great mod. This is also one of the first mods you should do. A tuner or chip tunes the computer of your car so if will perform better. The stock tune on mustangs is very conservative, so a tune will be something that is worth doing. The most common tuners are SCT and Diablosport, but there are other brands like Sniper and some others as well so you could do more research into that. AmericanMuscle does a program where if you buy a tuner from them they give you 'free tunes for life' so if you put a new mod on your car, you tell them and they will give you a new tune that maximizes that mod. When I got my tuner and loaded a tune onto my car I could definitely feel a difference so I feel like this is a great mod. A tuner is also very important for auto's because it will help adjust your shift points, and make your shifts more firm. That also brings us into Gears. Gears are arguably the best mod you could do to your car. Gears are what goes into the rear of your car. Gears go by a ratio, the stock ratio is 3.27, which means if the wheels spin one time the driveshaft will spin 3.27 times. What you need to know is a steeper gear will help you accelerate faster. Most people like switching to 3.73 gears or 4.10 gears. So if you put say 4.10's in your car, it is going to be spinning faster and your RPM's are gonna be higher than normal. Here is a link to CliffyK's website which can tell you what your RPM's will be at certain speeds http://www.paladinmicro.com/pmicro.p...InGearCalc.htm. Use that calculator and see what is best for you. If you do a lot of highway driving some people like 3.73's because your RPM's arent as high as 4.10's, although there is not much difference between the 2. With gears your MPG's will go down but most see a difference of maybe 2-4 mpg's average. Between 3.73's and 4.10's you might see a difference of 1-2 mpg's Some people say that if you're gonna be going F/I (nitrous, supercharger, turbo) then 3.73's are the best and 4.10's are too much. I disagree with that because I run 4.10's with a supercharger and I love it. Turbo's are a different story and stock 3.27's or 3.55's would probably be best for you since you want to keep a load and the turbo spooled. Again check the gear calculator and look at what would be best for you. Gears are also a job that should be done at a professional shop because it is very precise and difficult to do by yourself. You will also need the tuner to correct your gauges after you are done because if you do not correct it the speedometer will be off and the cars mileage will not be right. Next I'll go over throttle bodies (TB's) and plenums. Throttle body and plenum is the pieces your intake goes into sitting on top of the engine. The TB opens as you press on the gas and lets air in, so a bigger TB will let more air in. This is another thing that I dont have a lot of experience in, but I'll post what I know and any other advice would be great. The stock TB is 65mm and most aftermarket ones are 70mm, 75mm, and 78mm. When looking at a TB you want to think what the future goal of your car is, meaning are you going to keep is N/A (no nitrous, supercharger, turbo) or if you're planning on going F/I (nitrous, supercharger, turbo). If you plan on staying N/A than a 70mm TB will be fine for that application. If you plan on going F/I then a 75mm or 78mm might be better for what you need since you're going to be moving a lot more air. Putting a 75mm or 78mm TB on a N/A car is basically useless and will perform just the same as a 70mm, 78mm might actually hurt you a little due to being too big. A plenum is what the throttle body connects to, so like the throttle body a bigger plenum will help more air to enter the engine. This is another simple bolt on that makes driving more fun. Short throw shifters help the throw of your shifter be more tight and less travel so you could bang gears a lot faster and without missing a shift. There are a couple shifters out there such as the MGW shifter, Steeda Tri-Ax, Pro 5.0 shifter and a few others. A lot of people on here like the MGW because it is very tight and adjustable. I like the Steeda Tri-Ax although I want to try the MGW in the future. I would search around and see what you hear about shifters and make your choice. I have no experience in these. But from what I hear they don't add power they free up the power. Let me clarify that, you are gaining power from UDP's but you are free power up that it being taken from other things. I don't know much about these, so help would be great. I remember reading power gains from UDP's are minimal, and you should not use them if you have a big stereo or anything like that. is another good mod to do. FLSFC's help make your frame stiffer, which in return helps keep your car straight off the line or in the corners, and greatly helps in the corners. From what I have read this is one of the best suspension mods that you can do. These are just a few, I know there are more out there that I haven't gone over so if you want to write something up, correct me, or add stuff let me know, put a post and I'll edit it up so we can get everything right. I didn't go over anything suspension or brakes because I am pretty clueless there so again if you wanna add it be my guest and I'll put it in. Thanks for looking guys and hopefully this could be helpful for the new members or people who are looking to add something else. 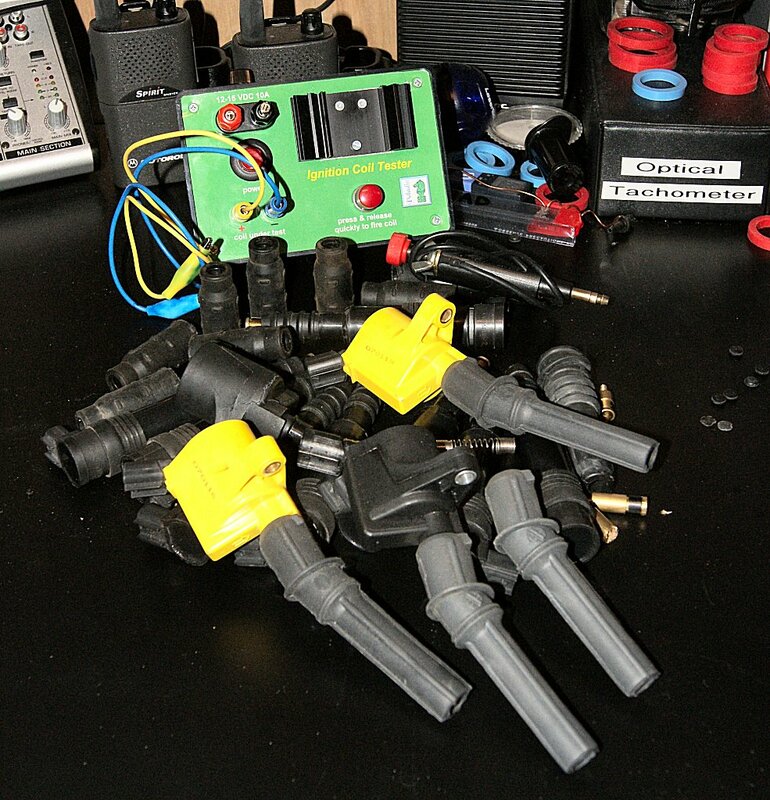 A member on another forum asked me "What are your thoughts about performance plugs, wires, and coils? These are usually relatively cheap and obviously bolt-on. Advertisements always emphasize the gains achieved with these items." Rather then type all this again should it come up here I thought I'd add it to this thread. Simple answer, they are lying to you. Regarding spark plugs let us first examine what motivation Ford would have to choose to install plain ol' single electrode platinum plugs, rather than some other fancy magical multi-electrode, mystical "power" plug. Auto makers compete vigorously to attain the highest horsepower and fuel economy ratings, and have to pay a fine to the EPA for every vehicle produced that does not meet the CAFE requirements. If spending another $50 on spark plugs could provide such miraculous increases in HP and mpg it would be pretty stupid of them to not do it, wouldn't it? Also consider that Champion has been making spark plugs for over 110 years, and with the exception of a small line of multi-electrode designs for specialty applications does not make such plugs for general automotive use. If there were a better way to make a spark plug Champion would have sorted it out by now, or bought up the technology. For nearly any but the most radical naturally aspirated build, and any modest boost (< 8 psi) setup, fine wire precious metal electrode plugs are the best selection. 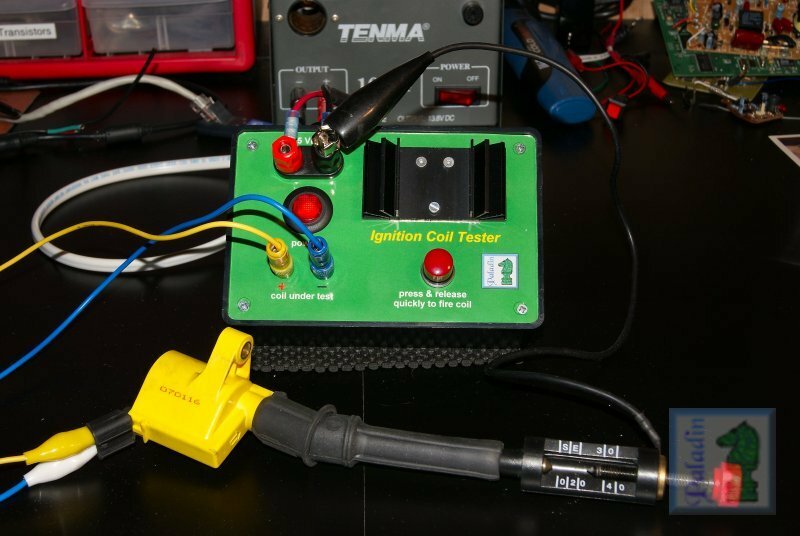 Fine wire plugs required only 40% less voltage to ionise the gap and fire and are much less prone to fouling--that is why automakers choose them. I run Champion stk# 3401 plugs in my '03 GT which turned out 262/305 rwHP/lb-ft with only modest bolts-ons and a highlt optimised tune. A long long time ago, in a Galaxy far away (a 1964 Ford Galaxy) stock ignition coils sucked big time when combined with most any sort of engine performance upgrade; as did the distributor, condenser and wires-- and an entire industry was built arouned this by companies like Accel, Mallory, MSD and others to fill the gap (no pun intended). Back then the grandiose claims made by aftermarket ignition component makers/vendors were actually and largely true. But then along came emissions standards and the automakers could no longer deliver vehicles with such poor ignition systems and meet the standards. For a while the aftermarket stuff was often still superior, however as time went by and OEM distributorless wasted spark, and COP ignition systems, became commonplace the aftermarket claims became increasingly just that--claims based on something that was once true ( BTW, K&N lives on riding this same train). Assuming that wire set/coil combination A can fire the plugs so as to initiate a solid combustion and flame-front, there is no reason to expect that wire set/coil combination B could cause engine output to increase. Beyond that distributorless technology (coil packs and long plug wires) for over the road vehicles are a far less than state-of-the-art systems. If I were doing a serious street build on a '96 to '98 Mustang with the EDIS system I would look into a COP conversion. Now there is something serious to discuss. 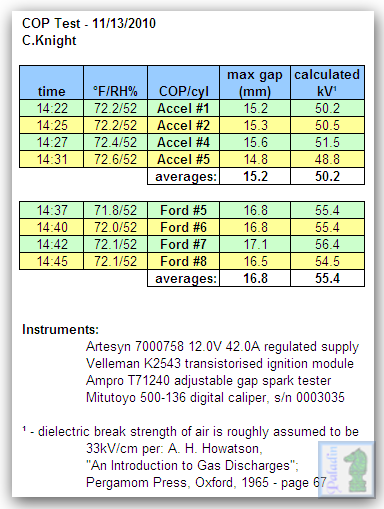 Note that the Ford OEM COPs consistently produced 55 kV, 5 kV more than the Accel COPs. Here is a video of an Accel COP being tested, firing across a 15 mm (0.590") air gap. If the rapid sequential full charge dump firing shown in the video were performed 10 to 12 times the COP will become so hot you could not hold it in your hand; if full charge dump is fired 20 times rapidly smoke will start to come from the COP and it will have been significantly compromised. 25+ such firings will burn the COP out completely. At some number of such firing this is true for any COP, from any maker. I did find that in general the stock COPs were more resistant to this treatment, some requiring as many as 30 rapid cycle firings to burn them out. Note: I more aggressively and destructively tested the Accel COPs because a contributor sent me a set of eight (with three already burned out) and I have my own set of eight in which four had burned out over a five week period, with between 20k and 25k miles on them. The high initial spike represents the coil's stored energy ionising the spark plug gap, this is a voltage spike of 16 to 20 kV (off the top of the trace). 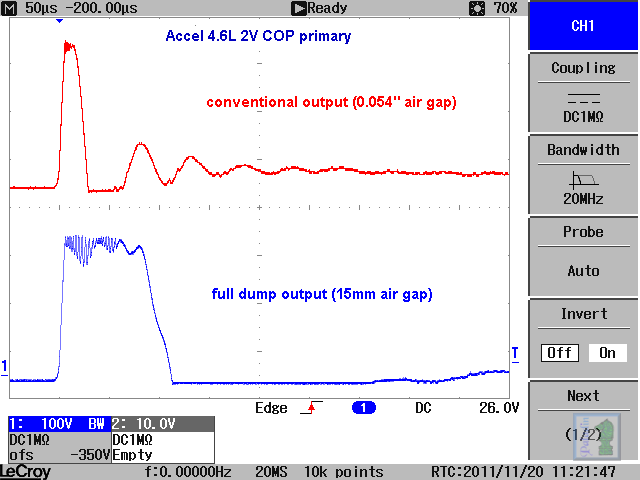 The short downward sloping line after the ionisation event is the plug actually firing at a sustained voltage of 4 to 6 kV. The triple firings are clearly seen at 1.33 ms intervals. The torture test also reveals why COPs tend to fail soon after washing an engine or a coolant leak has flooded the plug wells. The COPs will be have been compromised by being subjected to near and full capacity discharges. Grossly worn plugs with large gaps, and boots that are arcing through can also weaken COPs; I recommend changing the COP boots at 100k miles. So there you have it--see what happens when you ask a retired engineer a simple question? Last edited by MCxQubed; 02-02-2013 at 10:14 AM. This is really helpful man specially for alot of the new guys. Will help alot. Thanks man. First of all, you did a hell of job writing it up. Good job. Here are a few things that I think should be in there. 1. I know you didn't go over suspension but I think you should just throw in how FLSFCs are awesome and should be done. 3. Please justify that the horsepower difference bewteen x and h pipes are stupendous. And explain the Prochamber midpipe. 4. I think i'd be cool if you could list the mufflers/catbacks in a list from quietest to loudest. I don't know if you'd want to do this but I think it'd be awesome! I still am getting used to the fact I take off in a straight line and not fishtail all over the place when I peel out with FLSFCs. Very good write up. What Mineral said is also a good thing you might consider adding, if not thats cool, this write up is for the new people getting into the game and this covers the basic stuff. I'd just like to say maybe bold, highlight and maybe title/label what you are talking about before you start to write it. I think it's more eye appealing and would be much easier for those just trying to scope out a single subject. Sort of like this below. Hopefully this eliminates most questions for new members. Good post MC! I just wanna add one more thing, and that's what order we as a forum think what mods should be done.